For more than three decades, Microsoft Office Excel has been one of the inevitable tools for offices! For a big variety of purposes — if it is about creating a basic list of payment you have to receive or to prepare the nifty financial stuffs to be presented — Excel has been there, for both professional and personal uses. In addition, every time Microsoft is ready with an upgrade, we expect and receive something big and useful. The case isn’t different as we take the latest version — Microsoft Excel 2016, which is included in the Office 2016 Suite. 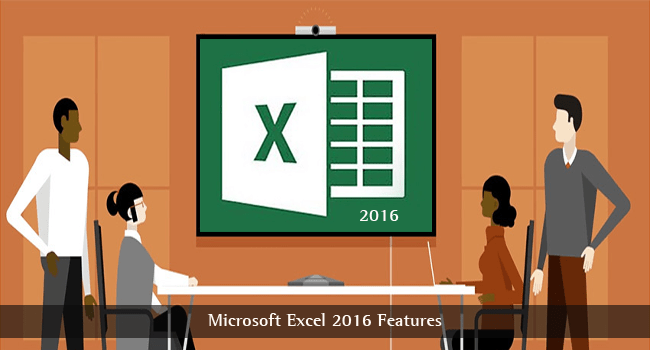 In this post, we shall have a look on best-noted Microsoft Excel 2016 features, so that you can know whether the tool is worth going for. Managing BIG data would be less cumbersome in Excel 2016, for it comes with some cool quick analysis tools. If you have provided the data and selected the area, rest will be taken care of by mentioned analysis tools. With respect to the data you have provided, Excel can suggest you actions. For instance, if you have a table of amounts, finding sums and other results would be a matter of a few seconds. If we are to take the case of a table, you’ll see a button on the right-bottom part of table, clicking on which will show you the available options. There are five sections in total — it has Formatting, Charts, Totals, Tables and Sparklines. In short, you don’t have to explore all those menus and tabs to deal with your big data. Charts have become way too common in business presentations, and even in common scenarios. Use of charts is an impressive method to present the statistical content, quite conveniently. To make the statistical storytelling superb, Microsoft Excel 2016 includes six new kinds of charts. Despite the fact that Excel 2016 features will recommend the best chart for your data, you can choose one from the new six, if you want. The newly-added charts include Treemap and Waterfall and Box Charts.It has to be noted that the entire section of Excel Charts has been enhanced in update. In the charts menu, you have plenty of options to choose, apart from the newly-added ones, and they are quite usable as well. For instance, if we take the case of Waterfall Chart, it’s quite effective when you want to represent cash flows or related stuff. In short, you can count on Excel 2016 charts for statistical storytelling, we repeat. It has to be noted that the entire section of Excel Charts has been enhanced in update. In the charts menu, you have plenty of options to choose, apart from the newly-added ones, and they are quite usable as well. For instance, if we take the case of Waterfall Chart, it’s quite effective when you want to represent cash flows or related stuff. In short, you can count on Excel 2016 charts for statistical storytelling, we repeat. When you want to compare statistics of something, 3D Maps are quite useful, we bet. For instance, if you like to do a comparison of temperature of different places in a region, you can set up a 3D Map. So, we were saying, 3D Maps is an inbuilt feature of Microsoft Office 2016. This feature was previously available as an add-on, but now you get best native support and stability. When you are into serious yet persuasive business, this would help. First, you have to admit that you can hardly live without Internet. Microsoft is reinforcing that idea by introducing an awesome lookup feature, tightly integrated with Excel 2016. Smart Lookup is the awesome feature in Excel 2016 that helps you grab related information from various parts of web — Bing image search, Wikipedia or some dictionary if you prefer that. The best part of Smart Lookup is that it works with any kind of data you select — a complex word, a place name or anything else. Once the data is selected you can choose ‘Smart Lookup’ from the context menu. Then, you can find the list of related information, ready to be integrated instantly. This is going to be an awesome Excel 2016 feature if you are planning to deal with mathematical formulae and those different kinds of equations. You can write down the equation using the convenient method — a digital pen, mouse or something else — and Microsoft Excel 2016 would recognize the equation and bring it into the spreadsheet. 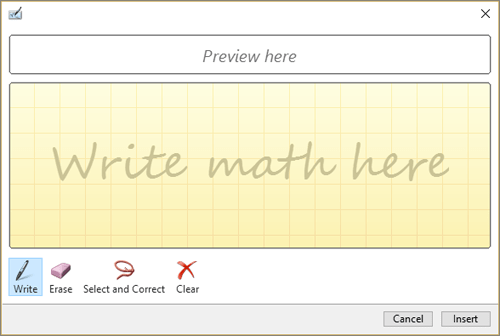 To do this, you have to go to Insert > Equations > Ink Equations, and you will have the fully-fledged panel to input. This is going to be useful for the equation people. Of course, we repeat, we cannot live without Internet, Excel 2016 has brought some awesome options of file sharing and work collaboration into the stage. An effective technique to compete with the online alternatives, this feature lets you co-author worksheets and manage other options of a document. It’s to be noted that we’re now talking about realtime collaboration — when you’re editing something, someone else can edit the same document. In the same way, Microsoft has succeeded in integrating Excel 2016 with its various online services, such as OneDrive or SharePoint. In the saving section, you have all the freedom to choose the most convenient location. This can also be seen as a move for enhancing productivity. It is after you have saved the document in cloud that you can get best collaboration options from Microsoft Excel 2016. This is going to be a real timesaver for those who frequently create spreadsheets with extra purposes. Excel 2016 has an impressive set of spreadsheet templates — it has to be noted that these templates are not just about design, but they include additional options such as sample data and charts. This way, you would be able to manage your data in a better manner. An example we can take is that of Excel’s My Cashflow template, where you have many controls to get the data right. All these templates come with in-built tutorials, so that you can use them seamlessly. Tell Me is more of a personal assistant that helps you use Microsoft Excel 2016 in the most productive manner. It’s a quite natural thing that, sometimes, you won’t have enough time to go through individual menus and choose option you really want. Tell Me is actually an alternative method for this. Placed next to the Power Pivot option, you can see a text field, where you can enter the proposed idea. For instance, in the text field, you can type ‘Waterfall’. In that case, the tool will show you the option to insert a chart instantly. Many things work through the same text field. 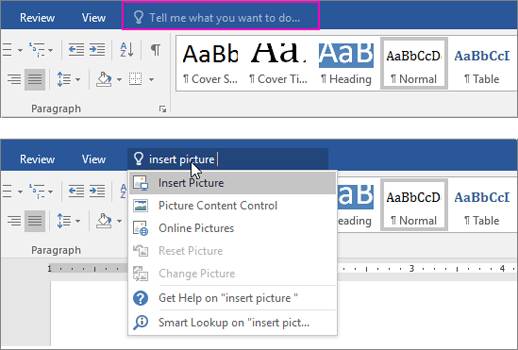 So, from the ease of use point of view, Tell Me is just a nice feature in the top feature list of Excel 2016. It’s walking towards assistive intelligence, you know. Along with the many superb functions that have been added to Microsoft Excel 2016, we have the better control for databases and related stuff. If you have used the previous versions of Excel, you would know that Power Pivot and Power Query were the features available through an add-on. In 2016 version, however, all these features are in-built and work seamlessly. There are options such as Data Models Reports, Pivot Tables and the one-click Forecasting. Once you have imported the database from the desired source, you have the freedom to use these features in quite a convenient manner. This feature is way too useful when you want to create a bit more interactive and persuasive Excel worksheet, even with the use of heavy data. Apart from the top nine Excel 2016 features we have mentioned, the suite comes with a lot other useful options, however minor they may be. For instance, there are some financial-oriented enhancements such as a few new charts, some PivotTable enhancements and introduction of a few new worksheet functions etc. Altogether, we can say that Microsoft Excel 2016 is a must-have upgrade if you want to create interactive, persuasive and innovative spreadsheets with relatively less effort. Thank u so much for detailed and useful info about Excel. Very nice and informative article, keep it up. I need to learn excel features, please share us something like that, I have got shortcut key from other site, it will help for newbie. Its been long time since I am associated with Mircrosoft. You have given a wonderful over view of excel. I suggest you to join Microsoft Student Partners. Thanks a lot for your words. I’ll think of joining MSP. Ohh wow! Very useful article . Hey Rajesh ji, I am visiting first time TechLila and I am fallen With TechLila Knowledge. You are doing awesome work and built Very authoritative blog.